The article isn't too flattering of the restaurant but it is good to hear that it still has some of Warner LeRoy's touches. 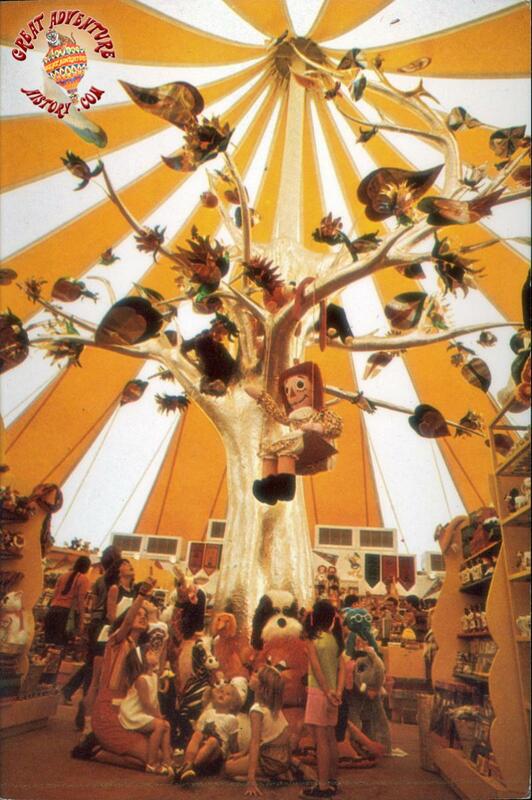 The tree reminds of Great Adventure's Fairy Tales Bazaar that use to be in one of the Dream Street Tents. I think I'll stop by next time I am in NYC before it closes like the Tavern on the Green. What ever happened to the tree from ga? They removed it when they put the drop ceiling in. sorry, what i meant to ask was is it trashed somewhere or is it relocated, it was made out of metal and i wonder if its still around anywhere? It was sculpted foam with a silver skin on the outside. I remember it looking a little ratty the last season it was there. Since you could walk up to it, people did and they played with it. 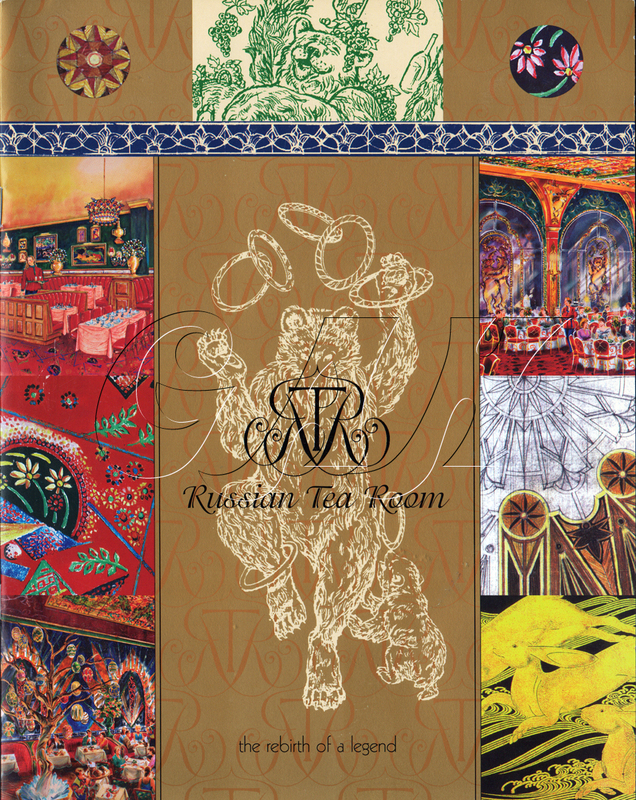 Check out this video of the Russian Tea Room! Recently ran acorss this item. I was happy to see the "Designed and Created by Warner LeRoy"! Comments and discussions are welcomed! 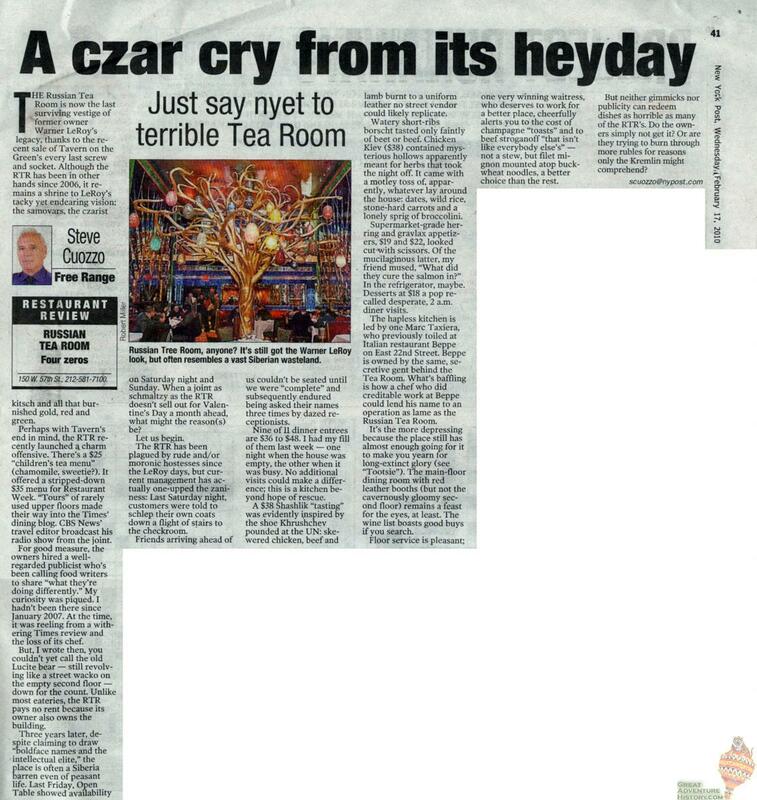 Martha Stewart & Warner LeRoy: Take a look at this old video of Martha Stewart interviewing former Russian Tea Room owner Warner LeRoy after the restaurant's renovation in 1999: CLICK HERE. Interests:Roller coasters. Amusment Park History, Model Minitures..
Great find! Thank you. To bad the park didnt respect his creations, and work to preserve them.